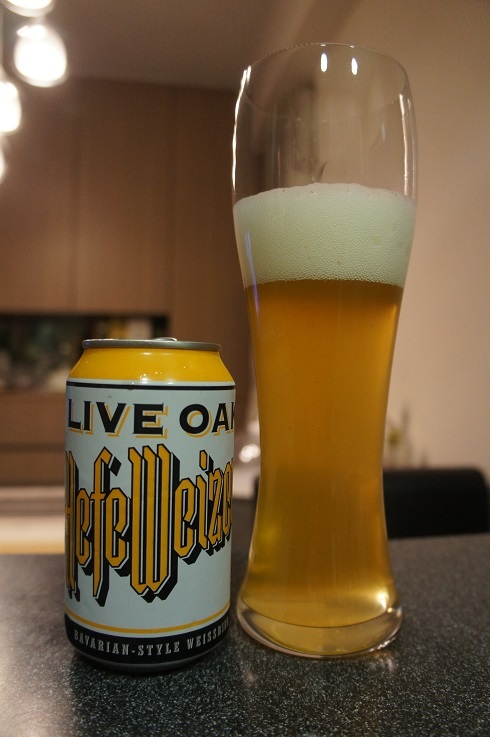 Brewer Description: (from website) Modeled after the classic wheat beers of Bavaria, Hefeweizen is cloudy and straw-coloured with a meringue-like head that lingers to the bottom of the glass. Brewed with an ample volume of wheat malt and few hops, this beer features a unique yeast strain that produces harmonious notes of clove, banana, and vanilla throughout this effervescent brew. 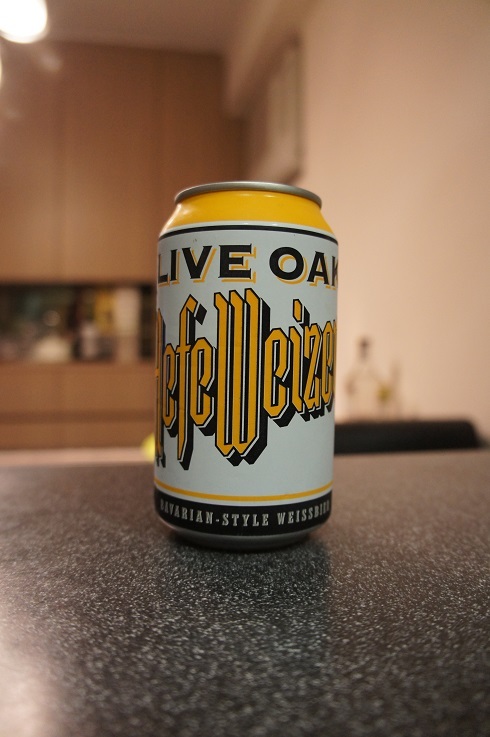 A traditional interpretation of a classic style, this idiosyncratic Bavarian beer is perfectly at home here in Texas. Intro: A 12 fl oz. can with no canned on or best before date. Poured into a Riedel weizen glass. Appearance: It poured a hazy straw yellow colour with a three finger white head that dissipated fairly quickly and left almost no lacing. Aroma: Sweet overripe bananas, clove, banana bread and some light wheat. Taste: Much like the aromas, there is sweet overripe banana, light clove and peach, pear, banana bread and a hint of wheat. Mouthfeel: Crisp, mid to light bodied with moderate to high carbonation. 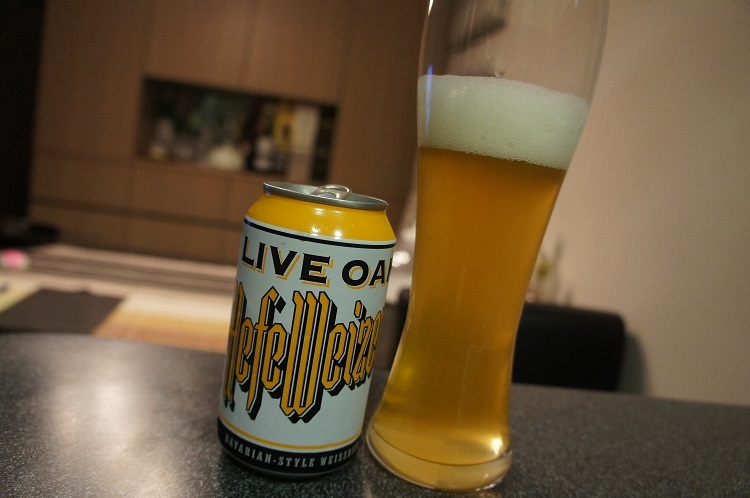 Overall: Wow, this was an amazing Hefeweizen. Probably one of the best in this style.